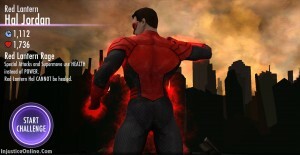 It is time for Hal Jordan to be taken over by the power of rage. 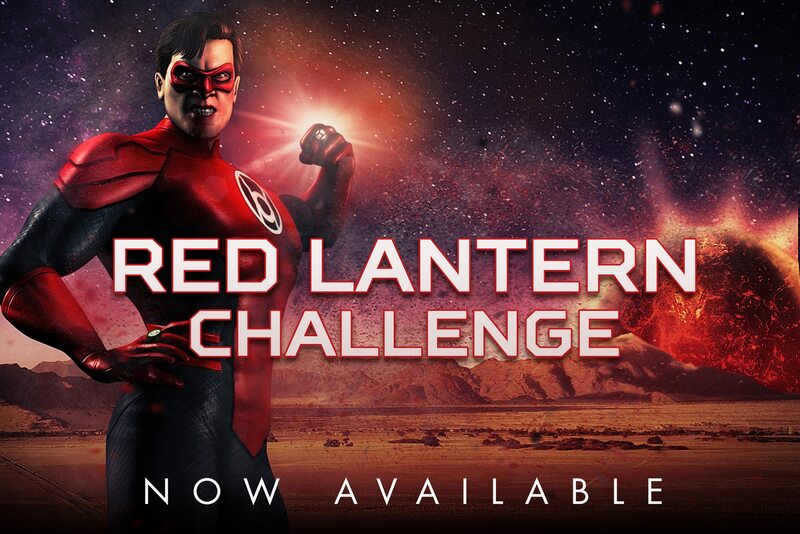 The Red Lantern Hal Jordan challenge for Injustice Mobile has started. Very interesting about this gold character is that his super powers and special abilities will not drain his super meter but him health instead. This probably explains why he starts with 1736 health for level 1. In addition you will not be able to heal him in any way. Don’t expect him to be of a great assistance to you for Survivor Mode. A group of berserkers led by Atrocitus, the Red Lanterns draw on rage to build constructs made of red light with their power rings. When they are inducted into the Corps, a member’s blood is replaced with liquid fire, and their heart is replaced with the ring, so if the ring is taken off, unlike in the cartoon series, the wearer will die. Members of the corps can expel this substance from their body at will like napalm, causing burns. 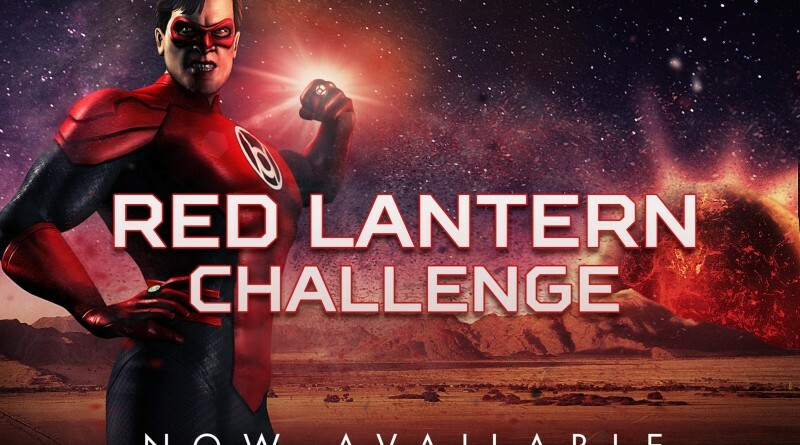 As the power of rage consumes and drowns the intelligence of the users, the average Red Lantern is left in a barely animalistic mindset, with limited speech abilities and lacking any ability of abstract thought and understanding, and of every other form of volition but endless rage, driven by hatred and a dim memory of his past life, focused on the circumstances forcing him to hate in the first place. 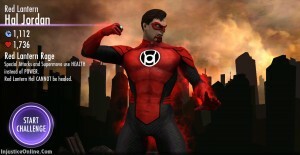 Atrocitus is able to restore his fellow Red Lanterns to their previous mental acuity with his shamanistic magic. The ritual, employed only once on Bleez, restored her previous mindset and ability for coherent thought, without dimming her rage. As such, Bleez, as Atrocitus, is still consumed by rage, but also loathing her endless suffering. Excited about the new character, let us know in the comments. Going to get him right now. Can’t wait till all characters from the update are available. Have all that were released until now. Love the reverse flash the most. I played with him since I got it. BUT THE NEW UPDATE (2015.12.11) IS KILLED HIM. I mean it is useless from this morning. Lvl 50 elite I is reaches about 1500-2000 demage however it sould around 10k. So please undo the characters update… The game is good btw. 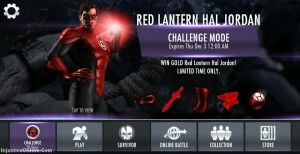 Can you please put the red lantern Hall Jordan challenge again? We missed out on the December 2015 challenge. Yup. I, like some other people I assume, stopped playing for a while and missed about 5 challanges, one of them being Red Lantern HJ. I’m upset about this, and I’ e also been looking into how to get him and seeing how major the nerfing was. Please, make him a bit better again and another challenge mode or online leaderboard reward . Don’t really know. Haven’t seen him in a booster pack yet. If, then from the challenge booster pack. It will show up. I see it at the moment. There is no booster pack that currently contains the characters.